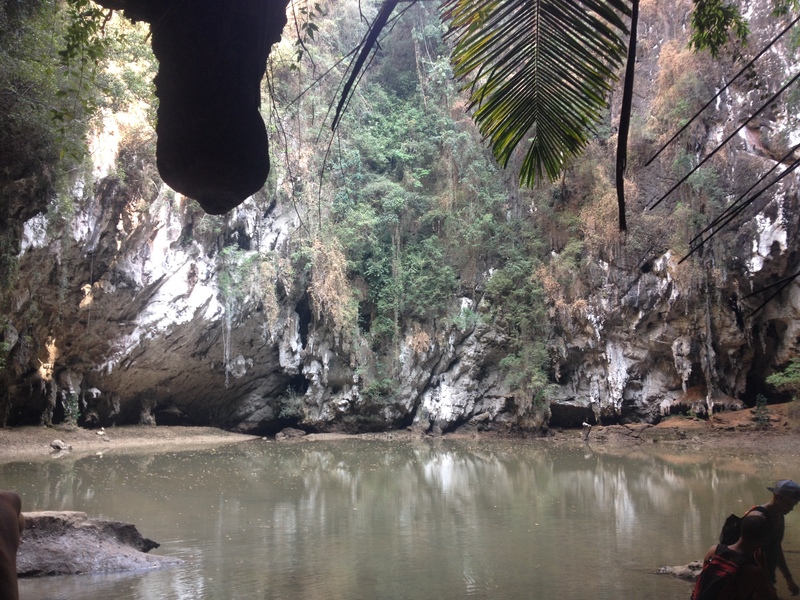 At the time of writing this post, I have been living in Chiang Mai for 2.5 months and have been able to explore some of the surrounding areas and popular activities including; going to the the town of Pai, checking out the Chiang Mai Rock Quarry, exploring the popular temples of Chiang Mai and Learning how to cook Thai style. 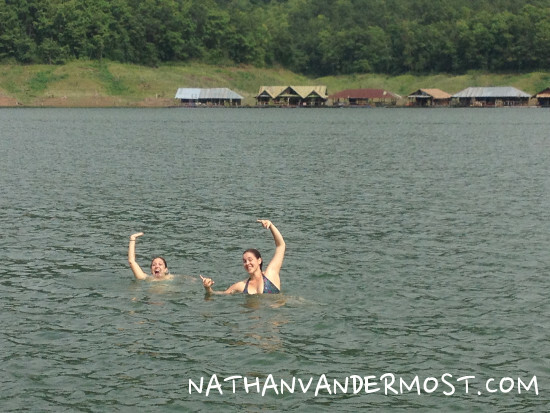 This past weekend, I was able to add another destination to the list, staying on a houseboat on the Mae Ngat Dam reservoir. 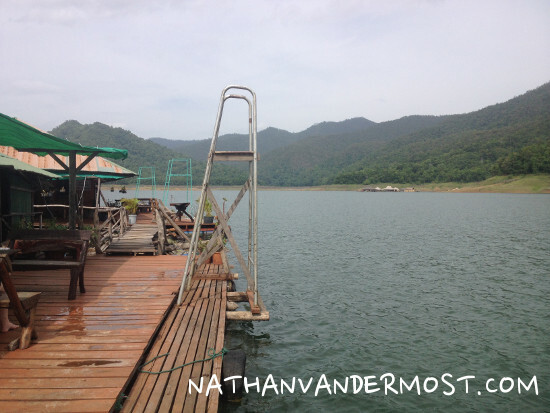 This reservoir is about one hour north of Chiang Mai via motorbike. The local people have monetized the lake by adding house boats that people can rent for set durations. A teacher that I work with invited a group of us to go check it out for the weekend. 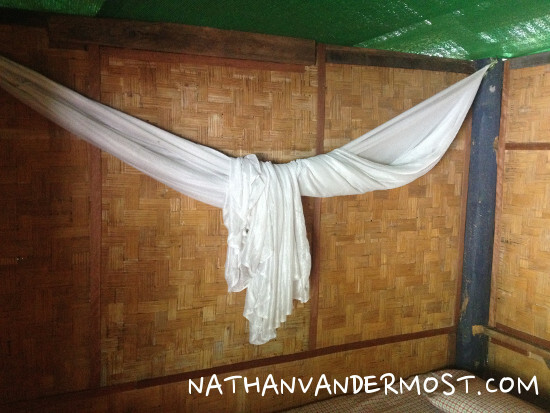 We met at a local breakfast eatery called, The Birds Nest on Saturday morning in the old city. After enjoying a delicious breakfast, we were headed north! There were eight of us in total, each with our own motorbike. Therefore, we made an awesome motorbike gang. Ha! 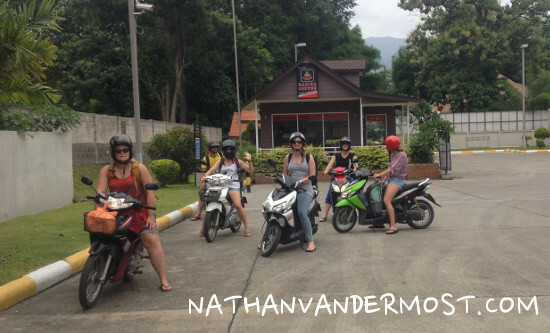 Driving on a motorbike in Thailand is a nerve racking activity, at least for me personally. There are paved roads, traffic lights, traffic signs, but for the most part drivers completely ignore any traffic rules. I tend to drive very conservatively for this reason and I am always amazed by what I see other drivers do. As a group of riders, we were able to stay together and communicate using hand gestures to make it north safely. The directions to the dam are very straight forward. 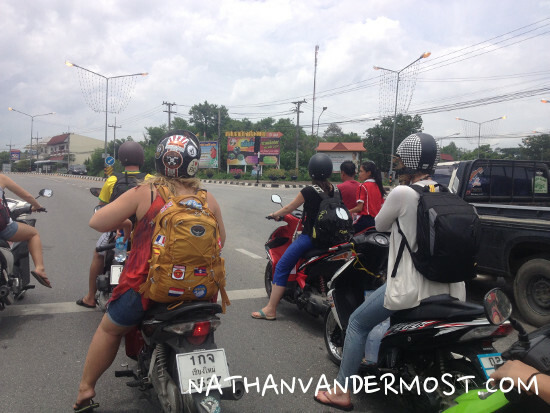 You head north from Chiang Mai Gate on Hwy 107 from the old city and continue for about 45 minutes. 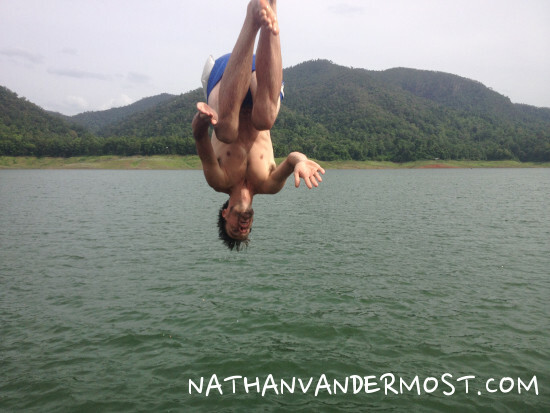 Following, there is a sign for Mae Ngat Dam and you make a right. Continue on this road for an additional 20-30 minutes and you will have arrived. 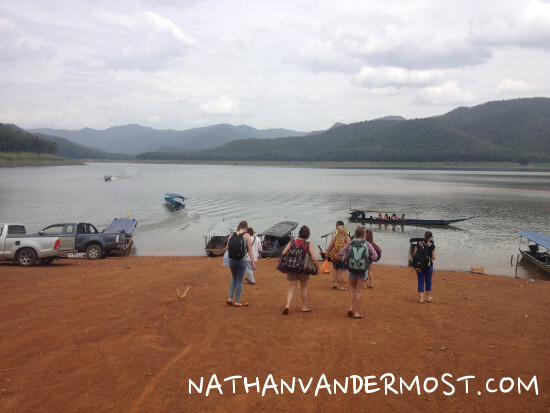 The dam is technically within Si Lanna National Park and so you have to pay a national park entrance fee, in order to access the reservoir. This costs each of us 20 BHT or $0.70 USD. After entering the park, you drive a little further and you will see the lake. There are a few restaurants and shops to stock up on food, water, and snacks prior to departing. 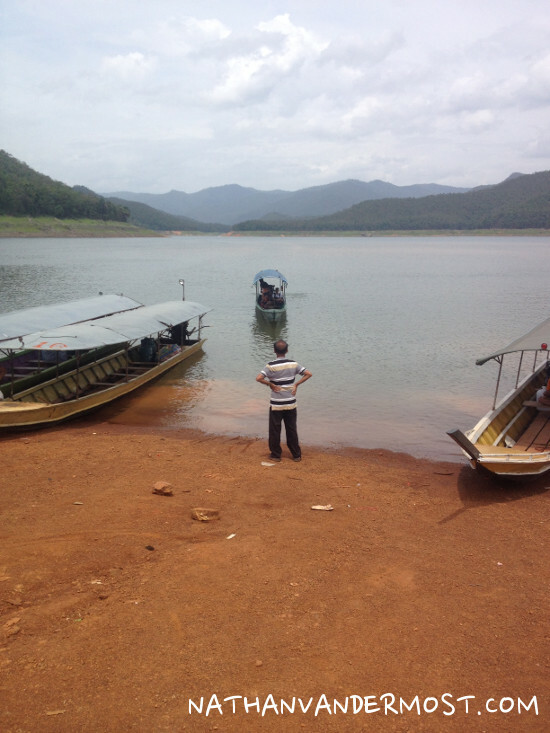 Following, there is a long-tail boat to take you out to the houseboat. 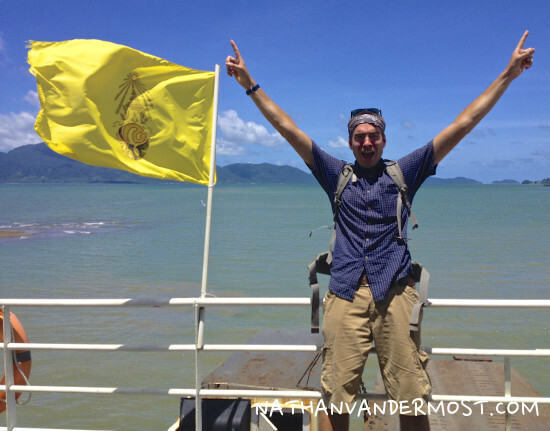 We had made reservations for taking a long-tail boat out to the house boat prior to our arrival, andI would encourage you to have these logistics aligned prior to arriving. But, if you do not make these arrangements, there are long-tail boats available for hire. 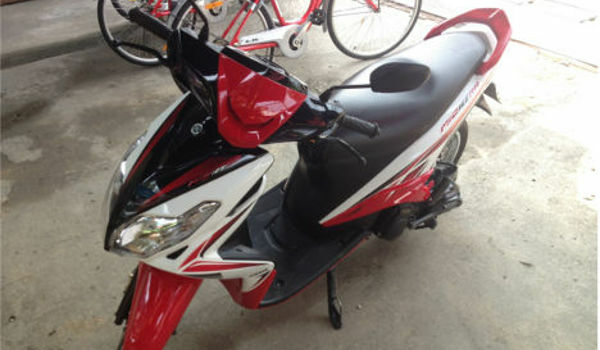 The cost is 200-300 BHT or $10 USD for a round-trip ride. 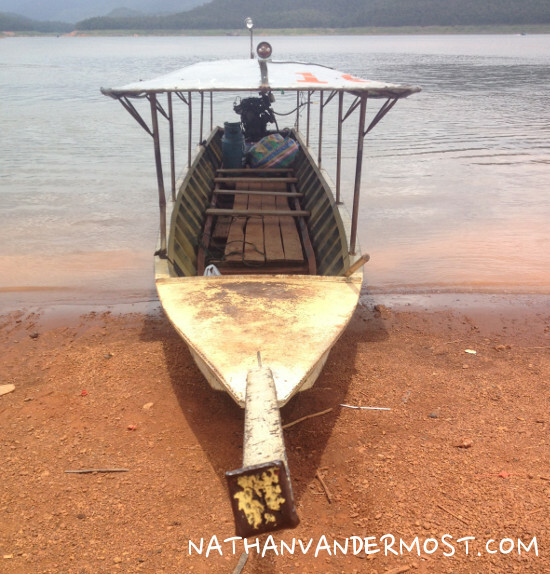 We had to wait patiently for our boat driver to arrive but we were on the water shortly thereafter. The reservoir starts out wide and then gets narrow as you cross the lake. There are countless house boats that line the reservoir. As we were passing other house boats, we waved at other visitors that appeared to be enjoying themselves. I look past the bow (front) of the boat and tried to guess which houseboat that we would be staying at. Suddenly, the power of the outboard motor started to wane and the front of the boat veered left to a cluster of houseboats. At last, we have arrived! 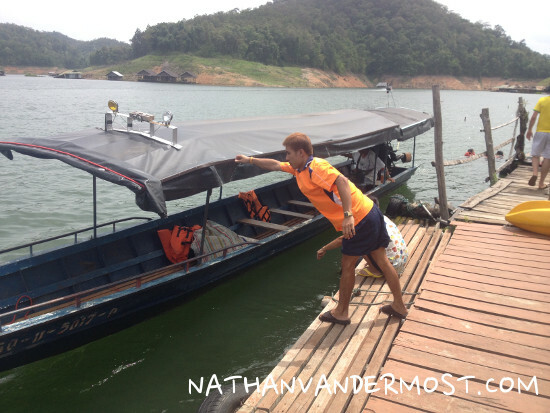 The boat pulls up to the side of the dock and we depart and are greeted by the Thai owners of the houseboats. “Sa wad dee khap” (hello), they say. We are excited to have arrived and explore the features of the houseboat. 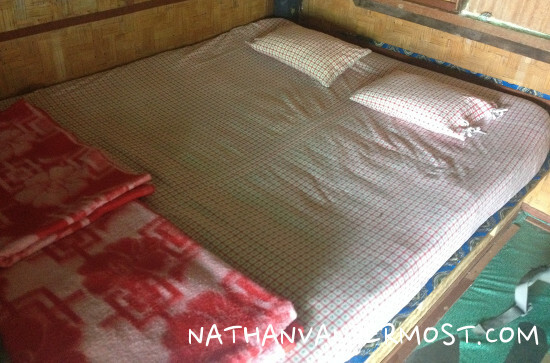 There are four rooms, each equipped with with an elevated bed, mosquito net, and fan. There is a shared bathroom which is very basic. There is also a jumping platform, plastic kayak, and karoke-set! You can bring your own food or you can order food as there is a restaurant that features popular Thai dishes. Be prepared to guess on your order because the menu is in Thai with inaccurate english translations. The cost of the food is comparable to prices that you would find while dining in Chiang Mai at a basic Thai restaurant/food stand. 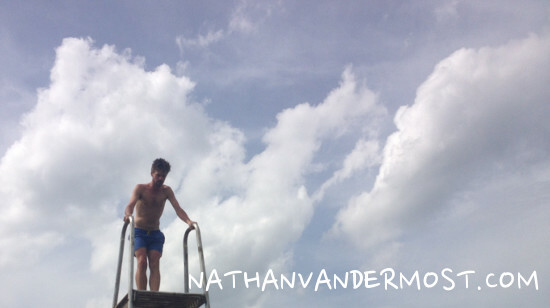 For the afternoon and evening, we enjoyed each others company, practiced our diving form, played games, and relaxed. 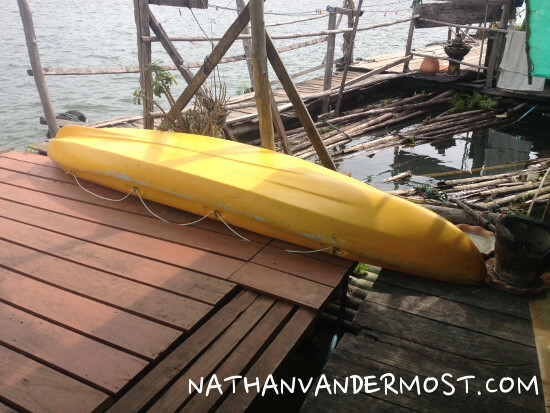 It is important to note that the plastic kayak, karaoke-set, and food costs additional to the flat rental fee of the house-boat for the weekend. Overall, it was a really fun time and I would recommend going out and checking out the reservoir for yourself! 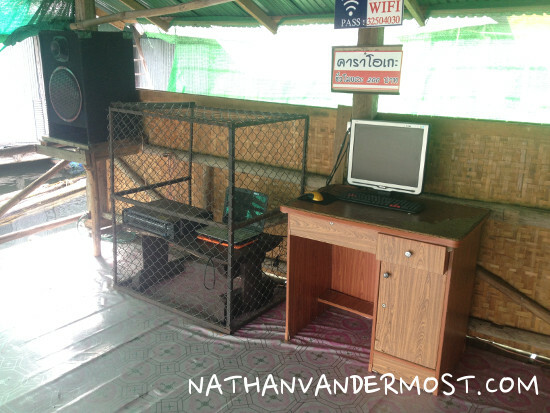 In all, we spent about 600 BHT each or $20USD to rent the house boat, food, snacks, etc. HERE is a website that has information for renting a houseboat.